*Recommended Reading from Reading Rainbow! *Listed in "The Children's Literature Lover's Book of Lists"
An introduction to Math, this book cites all the places one can find math. 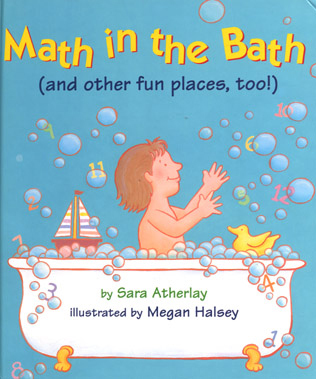 A brief text explains the illustrations and leaves enough questions unanswered so that parents or teachers can discuss with children how the examples really are math related. For example, musical notes are shown flowing out of musical instruments.